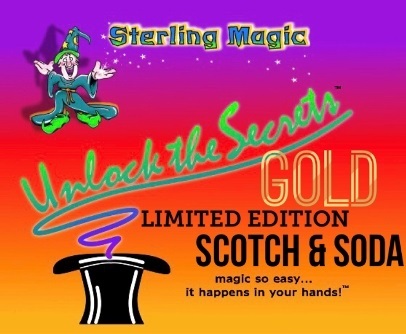 Sterling Magic High End Quality! The MOST Popular Coin Trick in the World! Requires no skill and can be learned in 5 minutes. We took the most used coin set used by amateurs and professional magicians and gave it a spin. We have used one dollar gold coin. 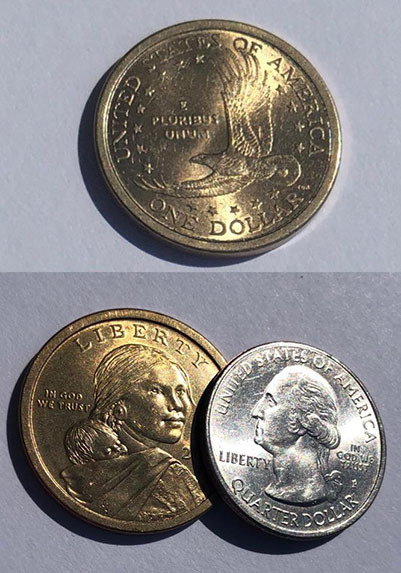 The coin is gimmicked the same way and will change into a US Quarter with almost no effort. The coins do all the work for you. Put the Quarter and the $1 gold coin in your spectators hand. Have them close their hand, and with a few magic words it is reopened, immediately the gold coin is gone and in its place is a quarter. All coins can be examined after the trick.